Guarder Black Power Up Gas 2000ml. 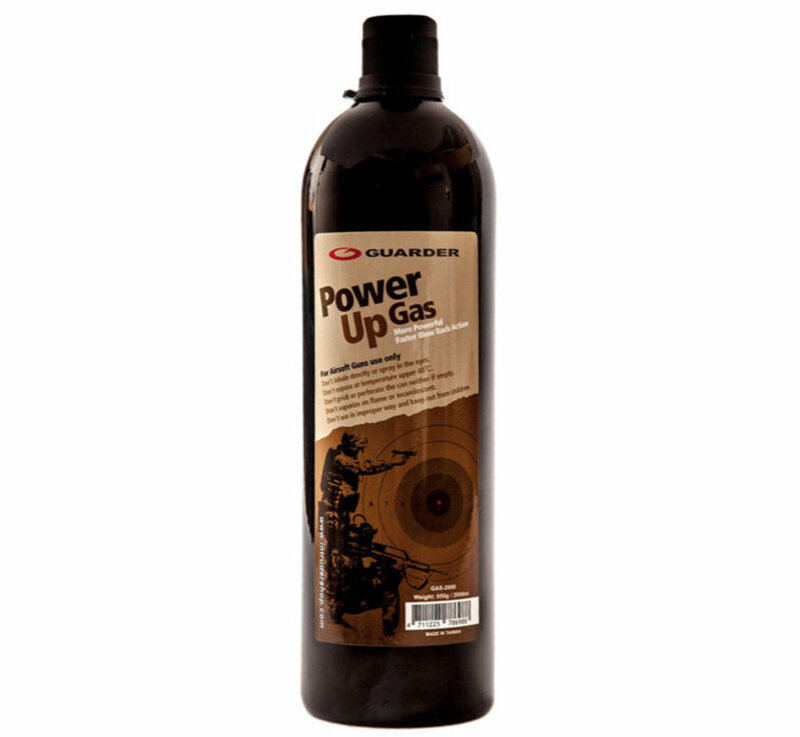 Guarder 2000ml Power Up Winter Green Gas - Black is a high performance gas, designed to operate at lower temperatures (between 3c - 20c) allowing to use your weapon all year round. Using this high power mix gives an increase in FPS, GBB efficiency and a harder kick. 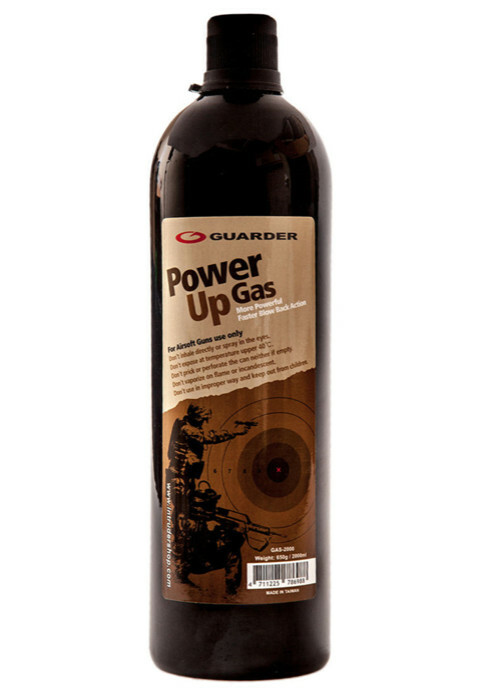 Each bottle is constructed from strong Alloy, and contains 650g (2L) of pressurised gas. The nozzle is long, and is constructed from Metal, giving a better fit into gas valves on your magazines. Due to the power of this gas it is reccomended that you do not use it with Gas Blowback Weapons with Polymer / Plastic Slides as it can damage or break them. 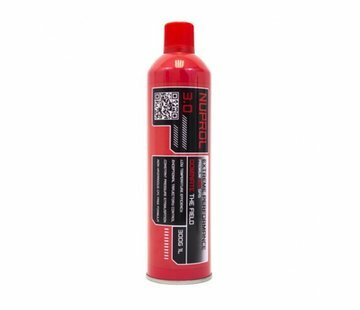 This gas is perfect for Airsoft Players who use Gas Blowback Weapons and Rifles in the winter and whos weapons are starting to feel the cold. Not recommended for pistols, but for GBB rifles.